Though their original purpose is to protect the eyes from wind and dirt particles, most of us consider our eyelashes in a slightly different light. In most cases, lush eyelashes — especially eyelash extensions — help us feel flirty, healthy, youthful, and beautiful. When they start to thin, we naturally start looking for solutions. You’ve probably noticed that there are a ton of options out there — from lengthening mascara to mink eyelash extensions to DIY false lashes. Let’s take a look at all the methods for eyelash extension available, and check out the pro’s and con’s of each — so you can make the decision that works best for your lashes. Did you know that the Ancient Egyptians used to blend black kohl with honey, water, and other ingredients to make the first known mascara? Applied with bone or ivory, this mascara usage dates back to 3400 BC. Flash forward to the present, when many companies promise that their modern formulations of mascara will lengthen and strengthen lashes. 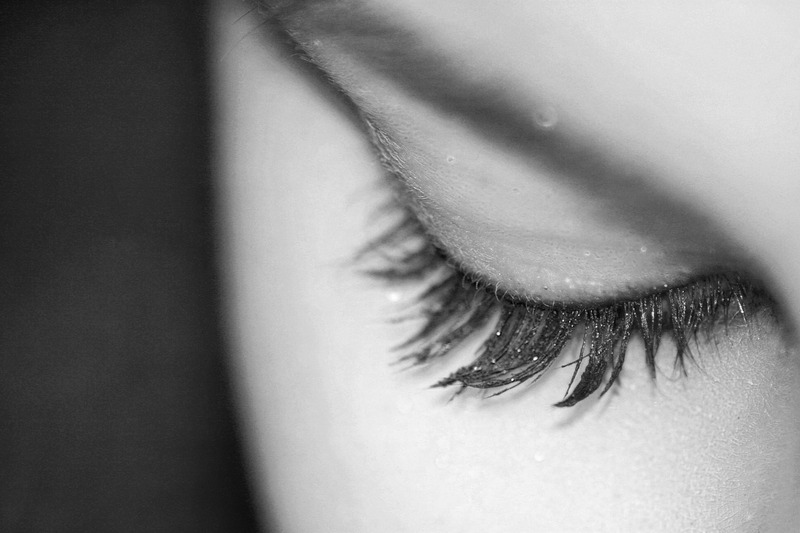 Of course, mascara doesn’t literally lengthen your eyelashes. A lengthening mascara can definitely make your eyelashes look lovely, but it’s due to the pigments, oils, and waxes in mascara that layer onto the eyelash. Once the product washes off, the effect wears off as well. Is Mascara the Right Choice For You? Advantages. Of all the methods for lengthening lashes, using a nice mascara is probably the quickest, cheapest, and most readily accessible. Disadvantages. As we know, the effects of lengthening mascara wear off over a brief amount of time, and the product has to be reapplied for lashes to retain their long look. We’ve all been there. You’re getting ready to go to a party at a nice restaurant, looking around for something that will add an extra wow factor for the evening. When you find the little set of glue-on eyelashes in your makeup bag, you’re excited to give it a go. DIY eyelashes can be a ton of fun to wear. They come pre-shaped, though in many cases you may have to trim them to appropriately fit your eye. By applying a thin line of adhesive, these eyelashes are then affixed to your eyelid, bolstering your natural eyelashes and contributing to a doe-eyed look. Is Glue-on the way to go? Advantages. Glue-on lashes are relatively easy to apply and can last for a whole day or evening if applied well. They are also relatively inexpensive and conveniently available at most pharmacies and supermarkets. Disadvantages. If you’ve ever struggled with false lash adhesive, you’re not alone: applying fake lashes can be very messy. They’re also a short-term solution and have to be reapplied daily if they are your lash-lengthening solution. After having the eyelashes applied, you have to be quite careful to avoid wetting the lashes for 24 hours in most cases (to allow the glue to set). Many people feel like eyelash extensions give a more natural and effortless feel than the glue-on kind. They’re also tailored to fit your eye shape and style requirements — so you can opt for anything from classic to dramatic. Should you Look into Eyelash Extensions? Advantages. With eyelash extensions, your lashes might feel so lush that you no longer have to apply mascara (or any eye makeup). Depending on the style you choose, they can look quite natural. Also, they last a lot longer than DIY lash adhesives or mascara. They can last up to 8 weeks, many people get them touched up around the four-week mark. Disadvantages. If you choose eyelash extensions, keep in mind that the services can definitely add up over time. 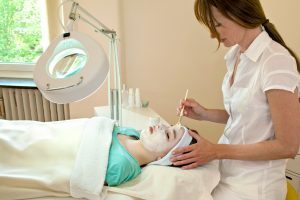 InStyle estimates that, depending on your location and style, each treatment can cost from $150 all the way to $550. Also, though they’re longer-lasting than some solutions, they will need to be reapplied to maintain impact. What does everything we discussed so far have in common? Basically, all the previous methods require adding external products to your natural eyelashes to make them thicker, darker, or longer. In contrast to the other options we’ve discussed, Latisse Eyelash Treatment doesn’t work by adding pigments or gluing eyelashes onto your lids. Instead, it actually creates longer, more natural eyelashes by stimulating growth. Unlike the other options, Latisse is a prescription medication. Also known as bimatoprost, Latisse goes to the source by treating inadequate eyelash growth. After receiving a prescription from a doctor, you can take Latisse in eye-drop form, applying it once daily inside the eyelid margin of each eye, at the base of the eyelashes. So, how exactly does Latisse work? The eye drops helps stimulate the hair follicle at the source, creating lashes with increased length, thickness, and darkness. Doctors think that it may have to do with growth cycles of the eyelash. Basically, eyelashes go through a cycle of growth (called anagen) and then have a life cycle where they lengthen and eventually fall out. Doctors think that Latisse may lengthen the anagen (growth) part of the cycle. It takes 16 weeks for the effects of Latisse to show their full potential, but the before-and-after images show an incredible increase in people’s natural eyelashes. Is it Time to Grow Thicker, Darker, Longer Lashes? Advantages. Out of all these options, Latisse Eyelash Treatments are the only one that addresses the source of the issue and actually changes the length, thickness, and darkness of your eyelashes at the source. It is also a long-lasting solution and lends a very natural look — because the lashes you wind up with are your natural lashes. They don’t require messy glue or continuous maintenance, making them a simple solution. Disadvantages. Although you will probably start seeing growth at four weeks, Latisse doesn’t show full effects for 16 weeks. So it takes longer than some other methods. Also, unlike the others, you will need a prescription to obtain Latisse. At the end of the day, it’s important to weigh all your options, consider the pro’s and con’s of each choice, and decide accordingly. If the idea of growing your own set of thick, natural lashes appeals to you, you might want to check out the Latisse Treatment. We love helping our clients discover their best selves, and we’d love to answer any questions you may have. Please feel free to contact us to get started.